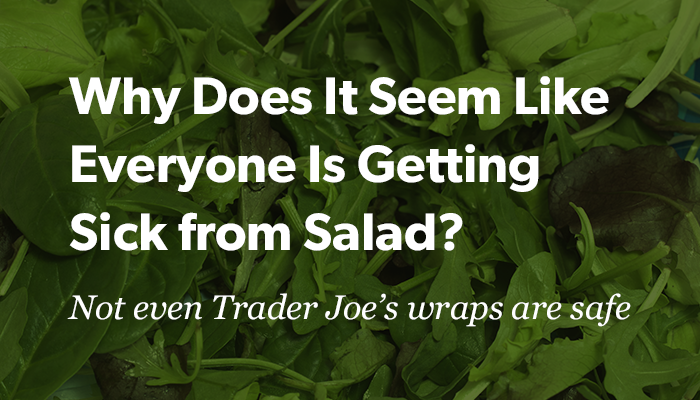 Maybe salads aren’t a healthy option after all: Trader Joe’s salads and wraps, along with those from Kroger and Walgreens are the latest food products to get flagged by the U.S. Department of Agriculture for possible contamination by Cyclospora — a delicious little intestinal parasite. It’s the most recent outbreak in this summer’s round of food safety alerts tied to parasites, having already caused McDonald’s to halt selling salads in 14 states in July. Before that, there was the countrywide romaine lettuce E. coli outbreak — the largest multi-state foodborne E. coli outbreak since 2006 — which sickened 172 people in 32 states and killed one person in California. Add to this Chipotle’s latest public health scare in Ohio and it begins to feel like food poisoning is on the rise. But is it? Here’s the state of foodborne illness outbreaks in 2018. Are foodborne illnesses occurring more frequently than ever before? While the CDC tracks bigger interstate outbreaks, states usually investigate the majority of outbreaks. Those are reported to the National Outbreak Reporting System. “The number of outbreaks reported to us by state and local health departments has remained fairly stable over the last few years,” Behm told Eater in an email. So why does it seem like foodborne illnesses are occurring more frequently? 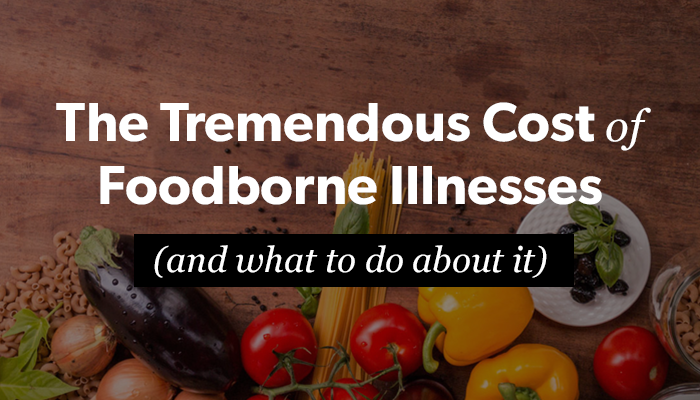 “Foodborne illnesses sicken millions each year in the United States.” “Foodborne illnesses have nearly DOUBLED.” The speed of today’s news cycle amplifies serious outbreaks of foodborne illness. 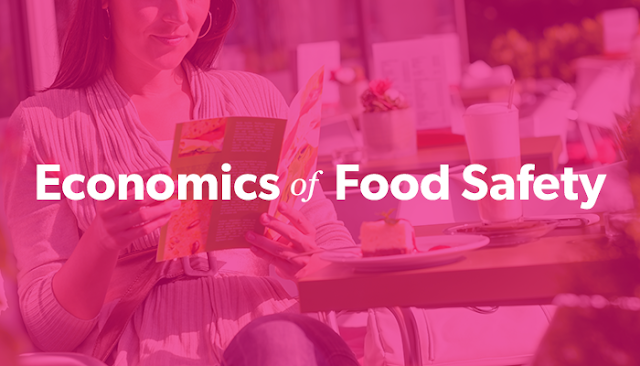 Still, the FDA estimates that roughly 1 in 6 Americans contract a foodborne illness each year. Pregnant women, young children, older adults, and people with weakened immune systems are at particular risk for falling ill.
Are foodborne outbreaks happening on a bigger scale? Which foods are at the greatest risk for contamination? Marler says that in the ‘90s and early 2000s the majority of his cases involved hamburgers, but following the Jack in the Box E. coli outbreak in 1993 — which sickened hundreds of people and killed four children — new, stricter policies regulating on the beef industry were introduced. “Now I have hardly any cases linked to hamburgers,” he says. These days, he sees more E. coli cases linked to fresh fruits and vegetables — also confirmed by a report in Vox — and a relatively steady rate of cases of Salmonella and Campylobacter, a bacteria associated with raw poultry. Due to their enticing convenience, sales of pre-packaged salads are on the rise and, given trends in dining, Americans, in general, are gorging more on fresh produce. Raw foods always carry more risk, because people don’t cook them to kill off potentially harmful bacteria. “When you cut fresh fruits and vegetables you’re creating a really nice environment for bacteria to grow,” Marler says. Here are some other foods the FDA lists as risky. Which foodborne illnesses are Americans most at risk for? The CDC reported in 2011 that Norovirus was the number one foodborne pathogen that led to in foodborne illnesses, hospitalizations, and deaths in the U.S. It was followed by Salmonella, Clostridium perfringens, Campylobacter spp., and Staphylococcus aureus. Salmonella results in the highest number of hospitalizations and deaths. “One thing we’re seeing more of is outbreaks linked to imported food products. It’s not because imported food products are necessarily dangerous — it’s because we’re importing more,” says Marler. Cyclosporiasis is an infection of the intestines, caused by consuming food or water contaminated with the cyclospora parasite. It’s most common in tropical and subtropical regions. The parasite most commonly affects produce, and past outbreaks have been tied to raspberries, snow peas, basil, and mesclun lettuce. Is Cyclospora common in the U.S.? Cyclosporiasis is relatively uncommon in the United States compared to other varieties of foodborne illness. Some of the earliest cases were documented in the 1980s, but two highly publicized outbreaks resulting from the import of Guatemalan raspberries in 1996 and 1997 brought greater awareness to the parasite. So far in the U.S., most cases have been attributed to imported fresh produce, according to the CDC. “As we import more food we’re going to get bugs in our food supply that we don’t normally see,” Marler says, such as Cyclospora and Hepatitis A, which surfaced following the importing of infected scallops from the Philippines in 2016. Does this mean foodborne illnesses are shifting in a spectrum from more bacterial to more parasite? No. The rates of Norovirus, Salmonella, Clostridium perfringens, Campylobacter spp., and Staphylococcus aureus still far outpace Cyclospora — a relatively rare foodborne illness-causing parasite. What can companies and restaurants do to reduce the risks of transmitting foodborne illnesses to consumers? Francine Shaw, founder of Food Safety Training Solutions has worked in chains such as McDonald’s, KFC, and Domino’s to provide food safety training services and audits. She recommends that companies work down from the executive level to improve overall awareness of food safety in order to reduce the risk of foodborne illness. She also advocates for in-person training with supplemental online training for employees at restaurants. “While online training is very convenient and it has its place, I am a believer that there needs to be some in-person training done because online training can’t provide real-life experiences,” Shaw says. “When we provide training we can explain to people why things are important. Why it’s important that you wash your hands or why it’s important that the cold food be held at 41 degrees or below. Online training can’t always get that information across is effective as a live person can.” Shaw also recommends that companies implement third-party inspections to make sure restaurants are following food safety protocols, something Chipotle executives promised to do following the burrito chain’s 2015-2016 foodborne illness outbreaks. Shaw also advises companies to vet their suppliers to make sure they’ve seen the processing facilities and know their food safety protocols. Are millennials to blame for all these outbreaks? Sure, why not? When in doubt, blame millennials. But perhaps there’s actually a grain of truth to this. Product research and trend forecaster NDP found that consumers under age 40 have increased the annual eatings per capita of fresh vegetables by 52 percent and frozen vegetables by 59 percent over the last decade, compared to boomers who have decreased their consumption of fresh and frozen vegetables. Higher income millennials also tend to spend a larger share of their food budget on fruits and vegetables, according to Producebusiness.com. Meanwhile, chains like Sweetgreen are growing like weeds in order to feed the younger generation’s hunger for bougie salads. Perhaps fast-casual chain restaurants’ desires to feed young consumers’ hunger for fresh foods is outpacing the competency of suppliers. Such appears to have been the case with Chipotle, which famously aimed to satisfy the tastes of the millennial demographic with more ethically grown and sourced foods compared to traditional fast food, like McDonald’s, which tends to source from one major commercial supplier. During Chipotle’s widely publicized food poisoning outbreaks, these complicated supply chains turned against the company, making it more difficult to trace the cause of the illnesses. “The more complicated your supply chain is, the more opportunity you have to introduce problems,” Melinda Wilkins, an expert in food safety with Michigan State University told Wired in 2016. “[Chipotle’s] food sourcing is a laudable effort—and it’s what customers want. But they’re probably walking a fine line between offering fresh, local ingredients and decentralized food preparation and the risk of introducing foodborne pathogens because it is such a complicated food chain.” In short, as millennial tastes force companies to reshape their supply chains, there may also be increases in foodborne illnesses. I’ve spent most of my life in the foodservice industry, and things have changed dramatically since my early days in the business. Back then, we didn’t have single-use gloves in the restaurant, we wore our hair down, I hadn’t heard of Hepatitis A, E. Coli, Norovirus, Salmonellosis, or Shigellosis, nor would I for years to come. During my early days in the business, food-safety wasn’t even discussed. But that all changed when Jack in the Box had an E. Coli crisis in 1993, and 700 individuals became ill, 171 were hospitalized and four died. Tragically the outbreak put food safety on the map. Since then, food-safety protocols have been developed to keep customers safe. Create a food safety culture from the executive level to hourly team members. Don’t just talk the talk – walk the walk. Don’t just create policies and procedures, but explain why the policies are important. Your employees are more likely to comply if they understand why the rules are in place. Don’t allow employees to work when they’re ill. They could spread serious illnesses like norovirus, which is highly contagious. Train continuously. Educate employees about avoiding cross-contamination, using thermometers and following other critical food-safety procedures. Use temperature logs. This helps you spot temperature issues before they become a cost factor or a liability issue. Conduct self-inspections. Catch small issues before they become big problems. For example, if your recent delivery wasn’t stored properly, you can take corrective action. Otherwise, there could be a spoilage issue or a cross-contamination problem. Conduct third-party audits. Someone objective from the “outside” will see things from a different perspective and point out possible infractions. Hire someone reputable who knows the business and genuinely cares about your outcome. Check deliveries. Supplies must be at the proper temperature – hot food should be hot, cold food cold, frozen food frozen, and products should always be properly sealed. Only use approved reputable suppliers that are inspected and follow local, state and federal guidelines. 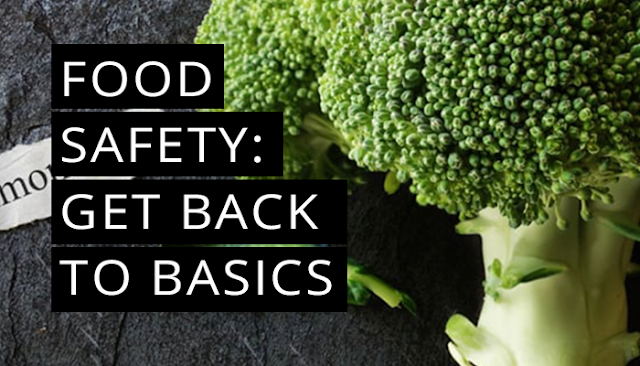 Establish – and implement – food-safety protocols so foodborne illness outbreaks don’t happen to you. 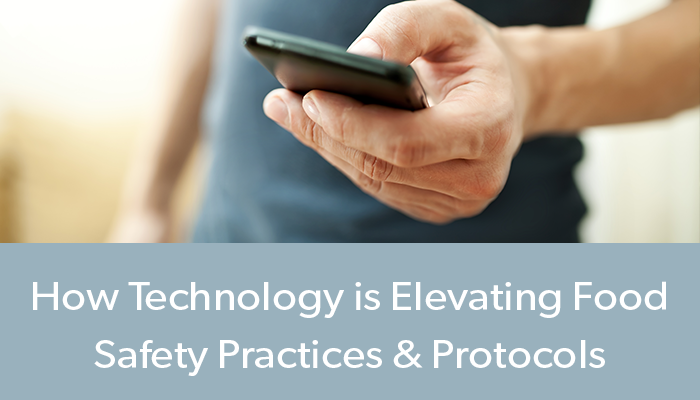 Technology is elevating food safety practices and protocols, and will help reduce or eliminate food safety incidents and outbreaks in the future. However, a major challenge will be getting food businesses to adopt these tech tools. Food service companies have been slower than other industries to adopt a technology, preferring instead to do things “the way they’ve always done them”— often using antiquated pen and paper systems to track food safety standards. Often, food business owners are worried about the cost and implementation of tech solutions, fearing that they’ll be too expensive and/or complex for them to manage. Something has to change in our industry. Food recalls are on the rise—recently with a huge nationwide romaine lettuce E. coli outbreak and recall. Even a big name packaged breakfast cereal was recently recalled for possible contamination. America’s food industry has a $55.5 billion safety problem annually, as reported by Fortune magazine (This information was gathered from a 2015 study by Robert Scharff, an associate professor at Ohio State University, who estimated that foodborne illnesses cost $55.5 billion per year in medical treatment, lost productivity, and illness-related mortality in the United States). This includes foodborne illnesses at restaurants and retailers, food recalls, and other food safety issues. The CDC reports that 48 million Americans become sick, 128,000 are hospitalized, and 3,000 die from foodborne diseases each year in the United States. Therefore, investing in food safety is one of the smartest things that food service organizations can do. The expense, time and energy necessary to implement—or elevate—your organization’s food safety protocols won’t be overwhelming, and it’s crucial to your business’ success. Foodborne illnesses are expensive and damaging for businesses. Having a foodborne illness incident or outbreak can cost significant money—including decreased revenues, hefty legal fees, potential lawsuits, diminished sales (and loyalty) from guests afraid to visit the (possibly contaminated) restaurant or store, and a damaged reputation that could permanently shut your doors. Food safety should be part of every company’s culture. Everyone—on every shift—should be trained in proper food safety protocols. And, since tech solutions have become more accessible and mainstream, more food businesses should adopt and use them. The latest technologies are elevating the way many food service businesses operate. Not only do these technological tools make food safer, but they can also save restaurants, convenience stores, hotels and other food service companies a tremendous amount of money each year. Technological solutions enhance food safety protocols and make it faster, more accurate, and more efficient to conduct inventory, auditing, training and keep food safe. Investing in technology is something that all food businesses should do to help boost the health and safety of their establishments. Sensors. Sensors ensure foods are being held at proper temperatures. For instance, centralized, continuous refrigeration monitoring systems signal when temperatures in coolers or freezers rise above safe holding temperatures, eliminating the need to throw away entire coolers or freezers of food due to improperly working units. As a result, businesses can save thousands of dollars (or more) in lost product and potentially save lives by storing cold foods properly. Digital auditing tools. Innovative digital tools can now be used for food companies’ internal auditing systems, which is a more efficient, cost-effective and accurate solution versus the pen and paper methods that are often (and widely) used in the food service industry. Using pen and paper to audit restaurants, hotels, institutions and stores often results in increased labor, time, errors and expenses. Additionally, hard copy records can be hard to organize and access—and it’s extremely difficult to integrate and analyze the data. Digital tools provide more efficient, cost-effective internal auditing systems, with records that are easy to access and analyze. Mobile solutions. The food service industry is comprised of many employees from younger generations (e.g., millennials and Gen Z), and these populations have grown up on their smartphones. Now, food businesses can leverage digital tools that can be used on cell phones and tablets, which is an easy and effective way to engage younger employees. Many companies are providing downloadable apps that enhance the way food service employees conduct inspections, keep temperature logs, conduct training, manage QA forms, access food code information, and more. Critical food safety information can (literally) be at employees’ fingertips. Boosting operational systems. Digital tools can help with brand protection and quality assurance concerns by optimizing and improving line checks, shift logs, inspections, auditing and other reporting. Improving the bottom line. Investing in technology boosts companies’ operational efficiencies, which has been proven to improve their bottom line. Technology tools can reduce or prevent food spoilage, reduce labor costs and help avoid foodborne illnesses. Reducing fraud. There’s a widespread “pencil whipping” problem in the food service industry, where employees using paper record systems falsify records or “cheat” on their processes. As much as food service leadership wants to deny that “pencil whipping” happens in their organizations, it’s (unfortunately) a fairly common practice in restaurants, convenience stores and other industry businesses. Pencil whipping can result in increased food safety risks, food code violations and other (potentially costly) issues. Digital tools can help reduce or eliminate “pencil whipping” through real-time data collection, and visual records using photos and videos. While technology has previously been considered to be a luxury, today, digital tools are affordable, widespread and accessible. Technology that can help minimize labor, reduce (or eliminate) foodborne illness risks, and minimize food waste is not an expense, it’s an important investment. Technology streamlines operations, improves safety protocols, reduces errors, integrates data—and so much more. The benefits are huge. 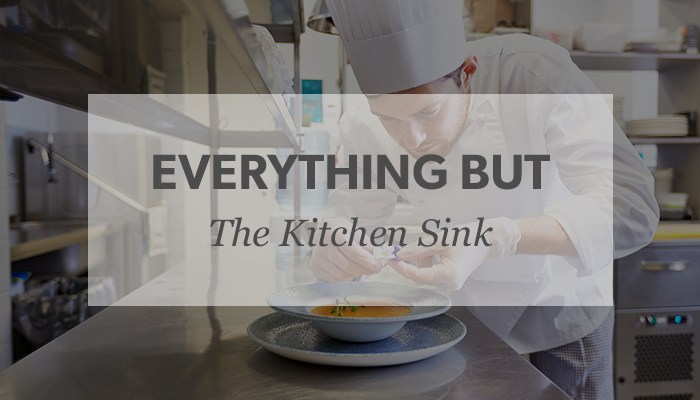 Often, food service owners tell me that they can’t afford the investment, or that they’re overwhelmed about how to find and implement the right system. I reassure them that it’s truly easier than ever to incorporate tech tools into food companies, and it’s one of the smartest things companies can do. Innovative technology tools are critical to keeping foods, consumers and businesses healthy and safe. After a lifetime in the food service industry, Francine Shaw still says there's nothing better "than a Friday evening rush that goes well." "(But) if it's not done well and it's not done right, people can get sick and die," she said. "And that's why we're here." Shaw is president of Savvy Food Safety Inc., which recently moved from McConnellsburg, Pa., into new quarters in the Mulberry Lofts, 22 N. Mulberry St. in Hagerstown. The company employs four people and several independent contractors, offering training, inspections, curriculum development, crisis management and related services. "We train everybody from food handlers to CEOs," Shaw said. The new space includes offices, a conference room, and a training facility. A testing center is being developed. "It’s been an exciting year of positive changes for our organization. First, we’ve rebranded our former company, Food Safety Training Solutions, to become Savvy Food Safety Inc., because we’re much more than just a training company. We’re food safety subject matter experts, offering a robust roster of services, including training, crisis management, curriculum development, HACCP (Hazard Analysis and Critical Control Points) plans, inspections and more,” Shaw said in a news release. "We also speak globally about food safety issues and regularly contribute content and expertise to numerous media outlets." The company also creates food safety videos for its clients. It also works to help companies update their food safety protocols, including moving away from the pencil-and-paper methods to software systems. Shaw said her interest in the subject comes naturally. Her grandparents owned a general store, and her parents had a grocery for a time. "When I was 15 years old, I started out as a fry girl in a fast-food restaurant," she recalled. She spent a couple of decades with that company and its successor, working her way up through the ranks. She found she enjoyed the training aspect of the industry. Eventually, she got into training full time. Then she started her own company. Shaw has been featured as a food safety expert in media outlets that range from the Dr. Oz Show to Food Management Magazine, according to the news release. The Savvy Food Safety team has more than 100 combined years of industry experience in restaurants, casinos and convenience stores. They’ve helped numerous clients — including McDonald’s, Subway, Marriott, Domino’s, Girl Scouts and Boy Scouts of America, Dairy Queen and Omni Hotel and Resorts — prevent foodborne illnesses. Shaw said it's a big problem. The Centers for Disease Control and Prevention estimates that each year 48 million people get sick from a foodborne illness, 128,000 are hospitalized and 3,000 will die. "The numbers are staggering. They're 100 percent preventable," she said. Shaw says there's a monetary cost, too — some $55.5 billion a year in everything from recalls to legal fees. "It can happen to anybody," she said. "All it takes is one mistake." Foodservice professionals work long, arduous days in the kitchen. While it’s important that their environment is attractive, it’s even more critical that it’s safe and efficient. Never choose a gorgeous kitchen design at the expense of safety and efficiency. Commercial kitchens must utilize sturdy, easy-to-clean materials, have a layout that minimizes cross-contamination risks and include designated equipment and prep areas for guests with food allergies. I recently met a restaurant owner that invested significant money redesigning his restaurant without considering safety issues. His new kitchen didn’t meet codes. Unfortunately, he had to demolish the kitchen and rebuild. This was an additional, and significant, expense. It also delayed the restaurant’s reopening by several months. I love high-gloss marble and porcelain floor tile. It’s beautiful, but it’s a potential disaster in a commercial kitchen. Don’t choose materials that are dangerous, such as slippery floor tile, or anything that is hard to keep clean, might chip or break easily, or won’t withstand heavy use. Chips, cracks, and breaks in tile or other materials lead to bacteria growth and health code violations. Use easy-to-clean stainless steel backsplashes behind high-heat appliances, anti-microbial countertop materials, nonslip flooring materials, fiberglass reinforced panels for walls, and safe lighting, which means without exposed lightbulbs. It’s thrilling to pick out new equipment for a restaurant, but keep in mind who will be operating it. Be certain your kitchen staff has the appropriate skills to manage the equipment. If the kitchen staff can’t operate the equipment appropriately and safely, it’s useless — and dangerous. Refrigeration equipment is incredibly important. Decide on the appropriate amount of space for the anticipated volume, then add extra space in case the restaurant exceeds expectations. There was a time when I managed a restaurant that we had to erect a custom-built unit in the parking lot for additional dry storage and a walk-in cooler because sales were double the original projection. While I was thrilled with the sales, the stock rotation and inventory were a nightmare. You’ve heard the phrase “Everything but the kitchen sink.” While on a consultation project, I visited a new build where they actually forgot the kitchen sink. Of course, it’s much easier to include a sink — or any equipment — during the design phase than it is to add it later. They ended up installing a sink right beside the dough mixer, which was a horrible — and unsafe — location. Sinks shouldn’t be next to equipment like that dough mixer, where dirty dishwater could contaminate the food. Instead, locate dishwashing areas near the kitchen entrance to streamline dropping off dirty dishes. Holding areas for hot and cold food items that are ready for serving are incredibly important and frequently miscalculated. This can cause backups in the kitchen, or worse, prevent food from being held at the proper temperature, which could cause a foodborne illness outbreak. It’s critical to consider function, efficiency, and safety when designing commercial kitchens to maximize guests’ health and reduce — or even better, eliminate — risks. The cost of a single foodborne illness outbreak at a fast-casual establishment could cost between $6,330 to $2.1 million. Each year, 48 million Americans become sick from foodborne illness. America’s food industry has a $55.5 billion food safety problem. This includes foodborne illnesses at restaurants, hotels, convenience stores, and other food service organizations, as well as food recalls and other food safety issues. Clearly, restaurants should be concerned about sickening—or even killing—customers because of a foodborne illness and should take every precaution to reduce that risk. But foodborne illnesses are also expensive and damaging for businesses. A foodborne illness incident can cost restaurants significant money—including decreased revenues, hefty legal fees, potential lawsuits, diminished sales (and loyalty) from worried guests, and a damaged reputation that could permanently shut their doors. In fact, foodborne illnesses cost $55.5 billion per year in medical treatment, lost productivity, and illness-related mortality in the U.S, according to a study by Ohio State University professor Robert Scharff. The cost of a single foodborne illness outbreak at a fast-casual establishment could cost between $6,330 to $2.1 million, depending on the severity of the outbreak, the amount of lawsuits, fines and legal fees, as well as the number of employees and guests impacted by the incident, according to a new study from researchers at Johns Hopkins Bloomberg School of Public Health. Casual-dining restaurants had a cost range of $8,030 to $2.2 million, and fine-dining restaurants could experience costs between $8,273 and $2.6 million per incident, according to the study. "Our study shows that a single foodborne illness outbreak can incur substantial costs, enough to compose a large portion of a restaurant's annual profits," the team wrote in the study. "Many of these costs outweigh the costs of various infection prevention and control measures that are available to restaurants." Each year, 48 million Americans become sick from foodborne illness, per the Centers for Disease Control. Reducing foodborne illness by just 1 percent would keep approximately 500,000 people from getting sick each year in the US. Reducing foodborne illness by 10 percent would prevent five million from getting sick. Investing in food safety is one of the smartest things that restaurants (and other food service organizations) can do. The expense, time and energy necessary to implement—or elevate—your food safety protocols won’t be overwhelming, and it’s crucial to your business success. Make food safety part of your company’s culture. Everyone—on every shift—must be trained in proper food safety protocols. Invest in the latest technologies. Digital tools are elevating the way many restaurants do business. Not only do these technological tools make food safer, but they can also save restaurants tremendous money each year by preventing food waste and reducing foodborne illness risks. Ditch the paper. Technological solutions enhance food safety protocols and make it faster, more accurate, and more efficient to conduct inventory, auditing, training and keep food safe. Restaurants that adopt and embrace digital tools (versus using pen and paper systems) can help boost the health and safety of their establishments. Reduce human error. While human error can never be completely eliminated, advancements in technology help minimize the risks. Sensors ensure foods are being held at proper temperatures. Centralized, continuous refrigeration monitoring systems signal when temperatures in restaurants’ coolers or freezers rise above safe holding temperatures, eliminating the need to throw away entire coolers or freezers of food due to improperly working units. As a result, restaurants can save thousands of dollars (or more) in lost product and potentially save lives. Elevate your data collection. Innovative digital tools can now be used for restaurants’ internal auditing systems, which is a more efficient, cost-effective and accurate solution versus the pen and paper methods that are often used in the foodservice industry. Using pen and paper to audit restaurants often result in increased labor, time, errors and expenses. Hard copy records can be difficult to organize and access—especially in the midst of a frightening food safety outbreak—and it’s extremely difficult to integrate and analyze the data. Digital tools provide more efficient, cost-effective internal auditing systems, with records that are easy to access and analyze. Become mobile. A major percentage of restaurant employees are millennials (or younger), and they live on their phones. If you’re trying to emphasize the importance of food safety protocols but then provide employees with antiquated pencil and paper record-keeping systems, there’s a tremendous disconnect. Instead, implement digital systems that can be tracked on cell phones and tablets. Use downloadable apps to enhance the way employees conduct inspections, keep temperature logs, conduct training, manage QA forms, access food code information, and more. This way, critical food safety information can be (literally) at employees’ fingertips. Improve operational efficiencies. By doing so, you’ll improve your restaurant’s bottom line. Eliminating pen and paper line checks can save $250-600 per year per restaurant, smart sensors that prevent food spoilage can save $1,100 per episode, and reducing food and labor costs can save $4,700 per year per restaurant, according to a recent CoInspect survey. Digital tools can help with brand protection and quality assurance concerns by optimizing and improving line checks, shift logs, inspections, auditing, and other reporting. Reduce pencil whipping. There’s a widespread “pencil whipping” problem in the foodservice industry, where employees using paper record systems falsify records or “cheat” on their processes. As much as food service leadership wants to deny that “pencil whipping” happens in their organizations, it’s (unfortunately) a fairly common practice in restaurants, hotels, convenience stores, and other industry businesses. Pencil whipping can result in increased food safety risks, food code violations, and other (potentially costly) issues. Digital tools help reduce or eliminate “pencil whipping” through real-time data collection, and visual records using photos and videos. While technology has previously been considered to be a luxury, today, digital tools are affordable, widespread and accessible. Technology that can help minimize labor, reduce (or eliminate) foodborne illness risks, and minimize food waste is not an expense, it’s an important investment. Innovative digital systems and records are fundamental to keeping foods, consumers, and restaurants healthy and safe. America’s food industry has a $55.5 billion safety problem annually, as recently reported by Fortune Magazine. This includes foodborne illnesses at convenience stores and restaurants, food recalls and other food safety issues. The price can be steep. A 2015 study by Robert Scharff, an associate professor at Ohio State University, estimated that foodborne illnesses cost more than $55.5 billion per year in medical treatment, lost productivity and illness in the U.S.
Each year 48 million Americans become sick from foodborne illness, according to the Centers for Disease Control (CDC). Therefore, investing in food safety is one of the smartest things c-stores can do. The expense, time and energy necessary to implement— or elevate—your food safety protocols won’t be overwhelming, and it’s crucial to your business success. Last May, nacho cheese sold at a California convenience store was linked to a botulism outbreak that sickened 10 people and killed one. The convenience store temporarily lost its food and drink permit—resulting in lost revenue—amid the ensuing investigation. Earlier this year, approximately 2,000 7-Eleven customers in West Jordan, Utah were exposed to hepatitis A, due to an infected 7-Eleven employee who had gone to work and handled the c-store’s food while sick. Having a foodborne illness incident or outbreak can result in decreased revenues, hefty legal fees, potential lawsuits, diminished sales (and loyalty) from guests afraid to visit the (possibly contaminated) store, and a damaged reputation that could permanently shut your doors. Food safety should be part of your company’s culture. Everyone—on every shift— should be trained in proper food safety protocols. TECHNOLOGY CAN HELPNew technological solutions can now enhance food safety protocols and make it faster, more accurate and more efficient to conduct inventory, auditing, and training. Sensors ensure foods are being held at proper temperatures. Centralized, continuous refrigeration monitoring systems signal when temperatures in the store’s coolers or freezers rise above safe holding temperatures, eliminating the need to throw away entire coolers or freezers of food due to improperly working units. Innovative digital tools can now be used for c-stores’ internal auditing systems, which is a more efficient, cost-effective and accurate solution versus the pen and paper methods often used in the foodservice industry. Many companies now provide downloadable apps that enhance the way foodservice employees conduct inspections, keep temperature logs, conduct training, manage QA forms, access food code information and more. Now, critical food safety data can be at employees’ fingertips. Operational efficiencies have been proven to improve stores’ bottom line. Eliminating pen and paper line checks can save $250-$600 per year per store, smart sensors that prevent food spoilage can save $1,100 per episode, and reducing food and labor costs can save $4,700 per year per store, according to a recent CoInspect survey. Further, CoInspect experts said the ROI on in-store technical solutions can be as high as $10,000-$15,000 per year for c-stores with foodservice capabilities. Digital tools can help with brand protection and quality assurance concerns by optimizing and improving line checks, shift logs, inspections, auditing and other reporting. There’s a widespread “pencil whipping” problem in the foodservice industry, where employees using paper record systems falsify records or “cheat” on their processes, which digital tools eliminate through real-time data collection, and visual records using photos and videos. Technology that can help minimize labor, reduce (or eliminate) foodborne illness risks and minimize food waste is not an expense, it’s an important investment. Francine Shaw is president of Savvy Food Safety Inc. and has been featured as a food safety expert in numerous media outlets, including the Dr. Oz Show, the Huffington Post, iHeartRadio, Food Safety News and Food Management Magazine.